Join REI on Saturday night of the Dahlonega Trail Fest for a free outdoor film festival in Hancock Park. We will be showing short films on hiking, cycling, climbing, and paddling. 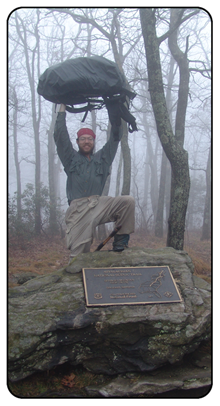 The film highlight of the evening will be "Paul's Boots," a short film about an inspiring adventure on the Appalachian Trail. Bring a blanket or chair and sit underneath the stars and enjoy the show. The Dahlonega Trail Fest beer garden will be open so you can drink a beer, cider, or glass of wine. The Trail Fest Grub Tent will be open, so eat some good food while you get inspired for your next outdoor adventure. All of the films are kid friendly so bring the whole family. Travel writer, author and adventurer Phoebe Smith followed in his footsteps to explore the 14 states through which it passes, and to meet the hikers, the rangers, and the people that make such an undertaking the trip of a lifetime. You may recognize some of our local Dahlonega AT folks in the film.